Product Consists : Rectangle Red and Blue colour design Tie Pin and Cufflinks with Silver Pen. You are looking for a something special for that man who is close to your heart then we have a fabulous hamper range of him. It comprises all things and he will surely love to receive it. 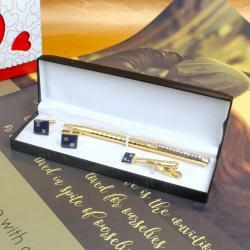 Check out this amazing gift combo of Giftacrossindia.com which is perfect for men gifting. This gift combo is comprising of a gift box of a rectangle shaped black color box. 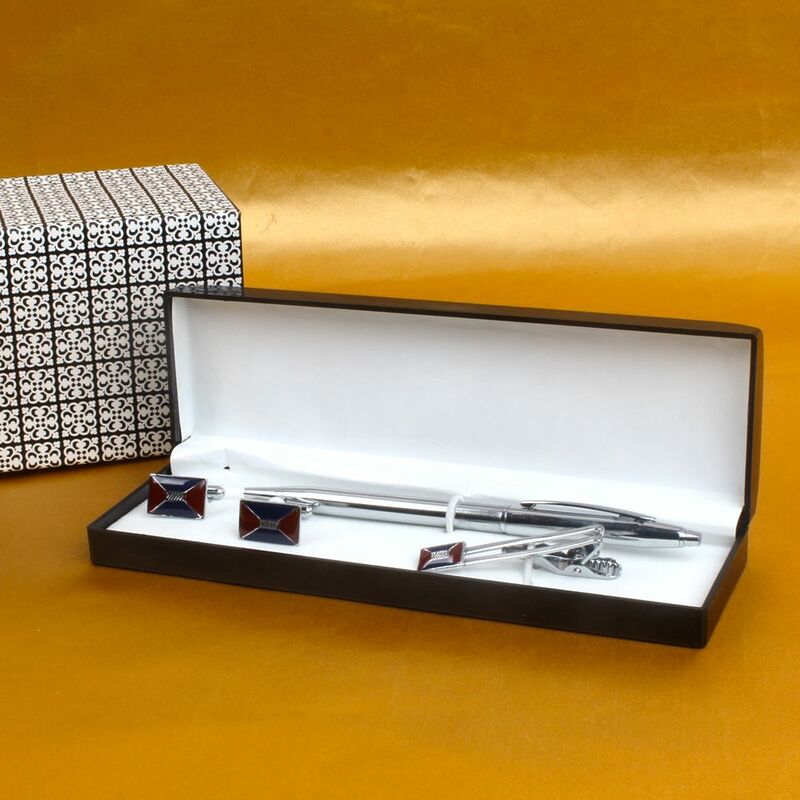 The box is filled with tie pin, a set of cufflinks and silver pen. 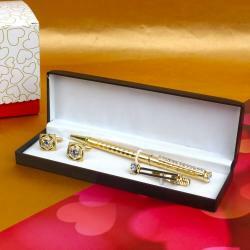 Tie pin and cufflinks of this gift combo are adorned which is decorated in color. Colored design in the combination of red and blue is attached to both cufflinks and tie pin. All three items are silver coated and looks very classy. 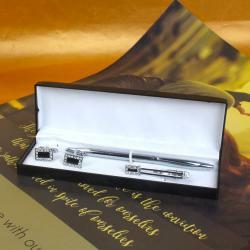 Buy this gift combo for yourself that the contents of this gift combo are best for men gifting. So go ahead, place your order now. 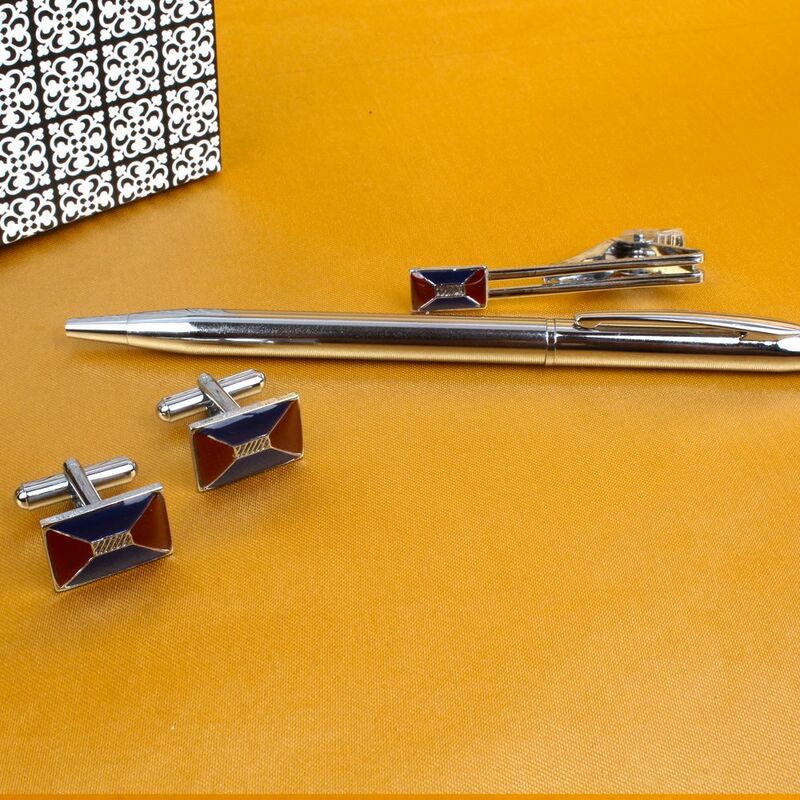 Product Consists : Rectangle Red and Blue color design Tie Pin and Cufflinks with Silver Pen.